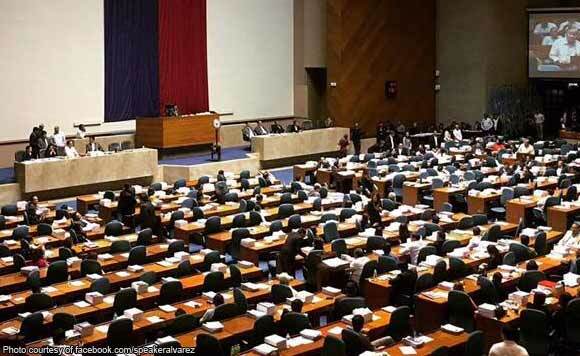 MANILA-- The House of Representatives on Monday adjourned its plenary session without the sponsorship of House Bill No. 8169 or the 2019 General Appropriations Bill (GAB). Session was adjourned at 4:44 p.m. after hours-long of suspension. Based on the House schedule, the plenary deliberations on the proposed 2019 PHP3.757-trillion national budget will be starting on Monday, 10 a.m.
“Any allusion contrary to the real intention of the ongoing review of the budget is a misguided effort to deceive the public,” Castro added. Majority Leader Rolando Andaya Jr. said the reason for the stalled deliberations concerns the issue on “how the budget was allocated” and how the present budget is being spent. “We have congressmen coming to the Office of the Speaker giving stories, activities happening in their districts which they are not aware of. So in the spirit of transparency, we also want to know what these complaints are. And I think this is where we are stalled,” Andaya said in a press conference. “We have at least 50 congressmen who have come forward who have given their testimony on the matter, and hopefully, within the week, we can come out with the recommendations to improve the budget,” he added. Andaya also said the House rules committee, which he chairs, has not yet endorsed any committee report on the 2019 national budget for plenary discussion. This is contrary to the claim of House appropriations committee chairman Karlo Nograles, who said the report was already approved by the rules committee. “We will defend the General Appropriations Bill as submitted by the President (Rodrigo Duterte) that has been approved by the committee on appropriations, that was approved by the rules committee, that is now sitting on the desk of each and every congressman on the floor and that is what we will defend on the floor, that is what I will sponsor on the floor (and) that is what we will debate upon on the floor,” Nograles said in an ambush interview.